Dozens of firefighters were fighting a blaze on top of the Federal Reserve Bank of New York on Saturday night, officials say. The fire broke out sometime before 8:40 p.m. on the roof of the 14-story building at 33 Liberty St. in Lower Manhattan. Video shows numerous fire trucks and firefighters at the scene around 9 p.m. 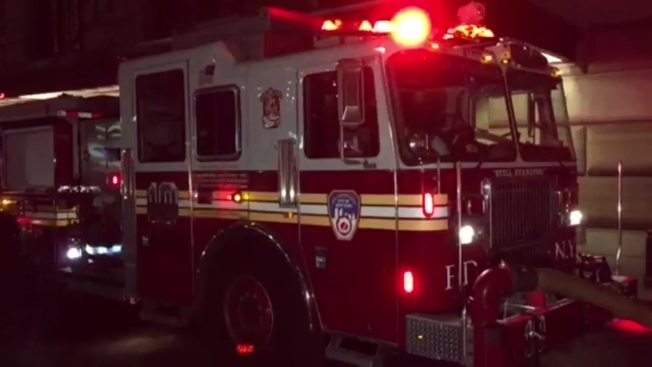 The FDNY said a generator on the roof of the building caused the fire in a chimney. The severity of the damage to the building is not known, and it wasn't immediately clear if the fire had been put out shortly before midnight. The Federal Reserve Bank of New York is one of 12 regional Reserve Banks that are part of the Federal Reserve, the central banking system of the United States. A generator on the roof of the 14-story building sparked the fire, the FDNY says.